Cats love warm and tender places. A heap of freshly cut sheep wool is definitely one such place. 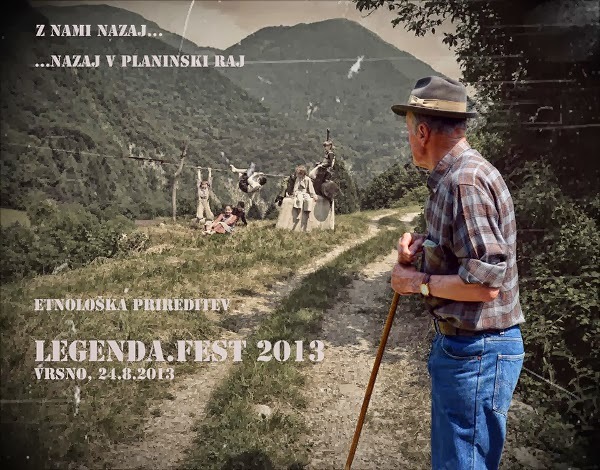 This photo was taken during Legenda fest - an annual ethnohistorical event in Vrsno, Slovenia. Paris is well known as a city of romance, where many couples choose to visit for long walks along the Seine, candlelit meals and musing the wonders of the many works of art in the numerous galleries. But did you know that there are also a lot of things to do in Paris even when you have children in tow? As a capital city it is only to be expected that Paris will be busy and bustling, filled with people and interlaced with traffic. You will therefore need to keep a tight hold of your children’s hands if they are small - don’t try that if you have teenagers, they won’t like it. But thankfully there are many open spaces in the city if you know where to look and a few decent attractions that are specifically aimed at children of all ages. So find some suitable accommodation (the further away from the centre, the cheaper the hotels, and the Metro system will get you to where you need to be quickly enough) and book some coach tickets to head off to Paris for a family holiday! Why coach tickets, you ask? Well because it is probably the cheapest way of travelling from London to Paris; there are rest stops and if you travel with iDBUS, you will have lots of leg room and elbow room, free on board Wi-Fi and plug sockets (don’t forget your plug adaptor!) – making the journey comfortable and even fun. The Batobus: this is a waterbus that runs along the Seine all the way along the city, allowing you to hop on and off at the various attractions or just to sit and take in the view. It is a great way to get from A to B in a way that does not involve busy roads or maps and most children are happy to be on board. Jardins: there are several major ‘jardins’ in Paris. Jardin de Tuileries is very close to the Louvre; the Jardin de Luxembourg is in central Paris, Saint-Germain-des-Prés and the Latin Quarter and is a great place to run around and sail toy boats. Disneyland Paris: a bus or train ride away from Charles de Gaulle airport (to which your iDBUS could take you) this is the ultimate in children’s entertainment. Staying in a themed Disney hotel is fun but expensive, so to save on cost stay on the northern outskirts of Paris and take the train or bus to the park. The Musée Rodin includes a large outdoor area displaying some of the most famous sculptures created by the eponymous artist, enabling you to combine fresh air and culture with a bit of space for a quick game of tig. The catacombs beneath Paris are spooky, eerie and full of skulls: if that sounds like something your child would love then make sure you don’t miss this offbeat attraction. You should keep in mind that this attraction might not be suitable for everyone. Always plan ahead for dry weather and wet weather alike and always have a few different options up your sleeve for in case there are long queues or unexpected problems. I am sure you will have a much more relaxed trip in the end, if you plan ahead. Well worth it, if you ask me! Kozjak waterfall is just one of Slovenia's many waterfalls. It is located in the western part of the country, near the town of Kobarid. During our last visit to river Soča valley in Slovenia we also climbed to the top of mount Krn (you can read more about that in our previous post). We started our hike at Planina Kuhinja near villages Krn and Vrsno pri Kobaridu, where we had a chance to taste some of their excellent milk products (Tolminc cheese, fresh cottage cheese and whey). Everything we tasted was delicious but Tolminc cheese was the definite winner in my opinion. This top quality cheese is made from raw cow’s milk according to local traditional methods. It is also registered as Protected Designation of Origin. It tastes sweet and spicy. Production procedure of this cheese is strictly regulated and should result in a final product with a specific set of characteristics. To be sold under the name of Tolminc cheese (Sir Tolminc ZOP), cheese wheels have to weigh between 3.5 and 5 kilos, have a diameter between 23 and 27 centimetres and should be 8 to 9 centimetres high. Inside should be lentil or pea size eyes - that is what those holes are called. Cheese has to be produced out of fresh milk, that was milked from a local breed of brown coloured cows. Cows need to be fed grass and hay from the local area. During production milk also has to be heated to exact temperatures. Cheese made at Planina Kuhinja has been awarded various prizes for excellency for many years in a row. With such reputation and relatively small production, they do not have any problems selling everything they produce. In fact, their cheese is so popular, they are barely able to age it beyond the 2 months. Since I had a chance to try their cheese of different ages I have to say I liked the 6 months old the best. It does tend to get spicier and harder with every month it ages, but that is just what I like. It is worth noting that when grazing season is over, cheese supply also runs out pretty quickly. Every year they drive down cattle from mountain pastures in autumn when temperatures drop and those shepherd's huts stay deserted through winter months. So if you are thinking about stopping by and have a taste of their products, you should do it during summer or autumn months.